I was born of a mixed family in the south of Italy, in the city of Benevento. That day it was raining cats and dogs, as on most days when important things happen to me – from graduating to getting married to finding a new job. Benevento (meaning either ‘Good wind’ or ‘Good event’) was named by the Romans after they had finally defeated the local tribe, the Caudini. My father was of mixed Italo-Serbo-Croatian origin. His father before him was a soldier who marched with Gabriele D’Annunzio (the Italian fascist poet and soldier) to conquer the Balkans. It was there that he met and married my grandmother, who was from a Serbo-Croatian family, at a time when this was still possible, before the wars of the 1990s divided the Balkans, making them ethnically homogeneous. Anyway, my father’s family was forced to move from Rijeka (Croatia) during ‘The Foibe’, a few years after the Second World War, when those of Italian ethnicities were forced to move from Istria. My mother, Giuseppina Damiano, was born in Montesarchio, from a family of shoemakers and traders with very progressive views, in the same house where her mother and grandmother had also been born. Her grandfather had been a trader throughout the Mediterranean and even Asia; but the world wars destroyed not only lives but also careers and businesses, and for this reason most of my Damiano relatives became internal migrants in the northern part of Italy. Given their polar-opposite political views, my two families, the Bellos and Damianos, did not get on and my family split in the 1990s. My mother, a primary school teacher, was left a single mother with two children in a strongly Catholic (and often misogynistic) region. She struggled her whole life to raise us in the best possible way. I still remember when, for days, we had eaten only potatoes, and my brother cried out: ‘Potatoes? Really? Again?’ and her crystal clear reply: ‘My dearest son, this is unfortunately the only food we can afford.’ Since then, our favourite dish has been potatoes and you would be amazed at the hundreds of ways she can prepare delicious recipes with potatoes. My brother and I learned from my mother most of the things we know; but the most important lesson is that you will do fine if you know your limitations but try to convert them into opportunities. She taught us how to be resilient. She spent all her money on our education, so, for example, I could attend a language school in the ‘Fondazione Villaggio dei Ragazzi’, directed by Don Salvatore D’Angelo, a good friend of the Italian politician Giulio Andreotti. He once came to visit our school and I still remember his charisma. It was because of him that I decided to study Political Science. In July 2002, I graduated from ‘L’Orientale’ University of Naples with a major in International Politics and a thesis on how identity issues affected European Enlargement. After my Bachelor degree, in November 2002, I moved to Bologna, becoming an internal migrant for the first time, thanks to a grant from the Italian Ministry of Foreign Affairs to study a Master in International Relations. From there, I got an internship at a Research Centre on the Balkans, in Forlì, where I did research on the Balkans’ (then) early accession process to the EU. The week I ended my internship, I was hired at the University of Trento, in the far northeast of Italy, as Assistant Coordinator of the Jean Monnet European Studies Centre of Excellence, directed at the time by Prof. Riccardo Scartezzini. He persuaded me to apply for a PhD in Florence, where a few years later I successfully defended my thesis on ‘Identity Issues in the Global System’. It was in Trento that I experienced prejudice for the first time, due to my southern Italian accent and my small physique — which contrasted with the locals’ taller, paler appearance. I started to understand the overlapping aspects of identity and prejudice and the reasons why prejudice feeds tension, hate, violence and ultimately leads to conflict. This, added to my experience of how authoritarian ideologies feed violence, piqued my interest in ‘Why Prejudice is a Global Security Threat’. However, in Trento I also made many good friends and started to understand that, although discrimination gets more attention than interculturalism, intercultural harmony is achievable if people can learn to appreciate the positive and innovative aspects of diversity. Through this circle of friends I met the person who is now my husband, Ulrich ‘Ulli’ Sandner, who was also born into a mixed family. His mother is from Milan, in northern Italy, but her grandmother was French and part of her family is thought to have Asian origins – an assumption made due to their physical features and because there is a long history of Asian migration to Milan. The Sandners, Ulli’s father’s family, were forcedly removed from Czechoslovakia by Soviet soldiers after the war. They were pushed into a van that took them across the border to Germany and left with only one bag and the clothes on their backs – because they were considered ethnically undesirable. At that time, Ulli’s grandmother was pregnant with his father, Wolfgang, and already had two daughters. The younger girl, due to the trauma, could not speak a single word for the following four years. They received German citizenship but after some time they went to live in South Tyrol, the German-speaking area in the Alps, which after the First World War had become part of Italy. After all their struggles, they wanted a quiet place, marked only by the sound of animals and the wind. In 2009, Ulli and I left Trento, where we got married, to start a new life after I got a Marie Curie Intra-European Research Fellowship at the Institut Barcelona d’Estudis Internacionals. Here I worked with Prof. Juan Diez Medrano, an expert on nationalism and identity issues, in the vibrant city of Barcelona: a place in search of an identity, just as Ulli and I.
I now have the privilege to work at the United Nations University Institute on Globalization, Culture and Mobility (UNU-GCM), founded and directed by Prof. Parvati Nair, an expert in migration and media. Our daughter Sofia was born in the nearby town of Terrassa – a girl born of two mixed families, with Neapolitan, north Italian, Czeckoslovakian, Serbo-Croatian, German, French, and unknown Asian elements. Of course, this is just my migration story and my other relatives have added more identities to other branches of this great and wonderful tree. 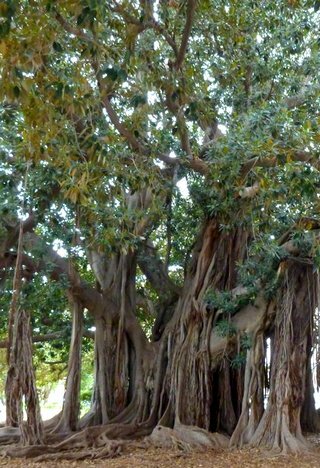 Indeed, I like to identify my family with a physical tree: the Ficus Macrophylla in Piazza Marina, Palermo, Sicily — which is said to be the largest in Europe. Here is a tree with ‘aerial roots’, making it perhaps the most inclusive family tree. It shows how the grandest tree in Europe can live and thrive, not just with roots anchored in the land but with many floating in the air, fed for centuries by winds of change. Dr. Valeria Bello is a Research Fellow at the United Nations University Institute on Globalization, Culture and Mobility (UNU-GCM) and is the founding scientific coordinator of the UNU Migration Network. 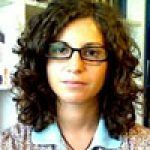 She is a Political Sociologist (PhD 2007, University of Florence) who has taught and published in the fields of Sociology, International Relations and Political Science.